Enduro Nepal motorcycle tours for the adventurous and discerning rider. 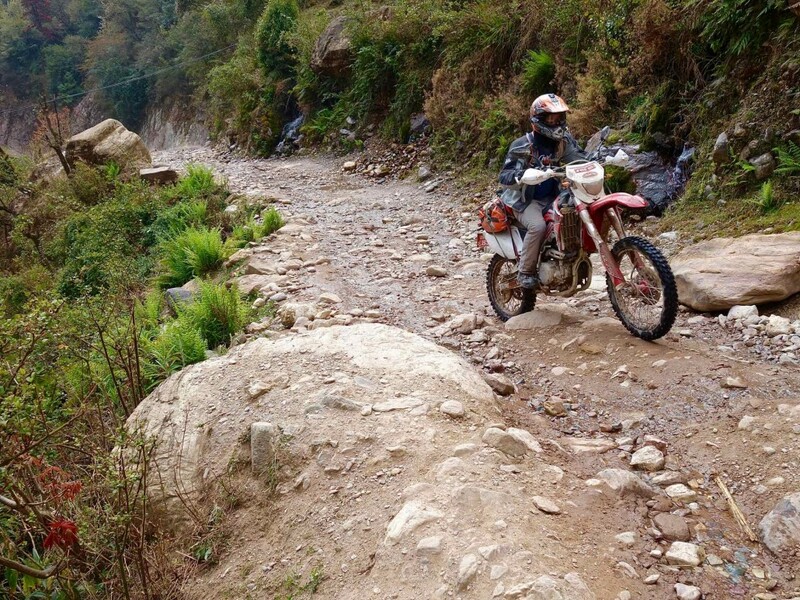 Guided, on & off road motorcycle adventures designed to fit your timeframe and riding style. 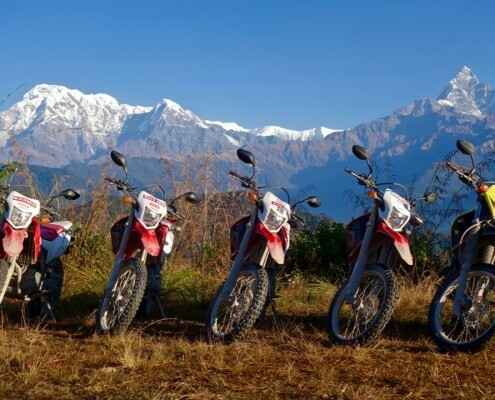 Explore some of the most exciting corners of Nepal from the jungles to the Himalaya on Honda CRF dual-sport motorcycles. 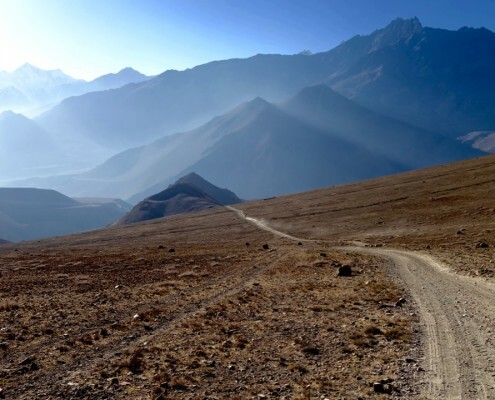 Ride from the steamy jungles near the India border all the way through the Himalaya to the Tibet border in the north. 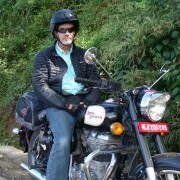 Ride where few others go on remote Himalayan roads. 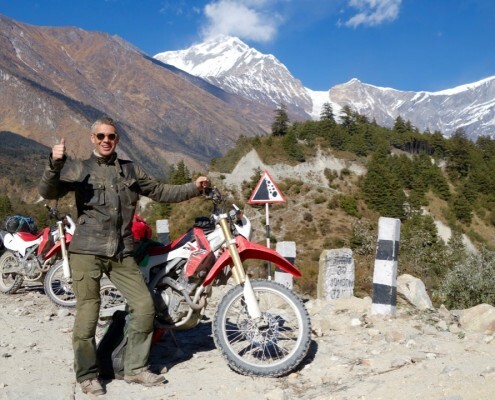 Then ascend high into the Himalaya to Lower Mustang at 12,500 feet. 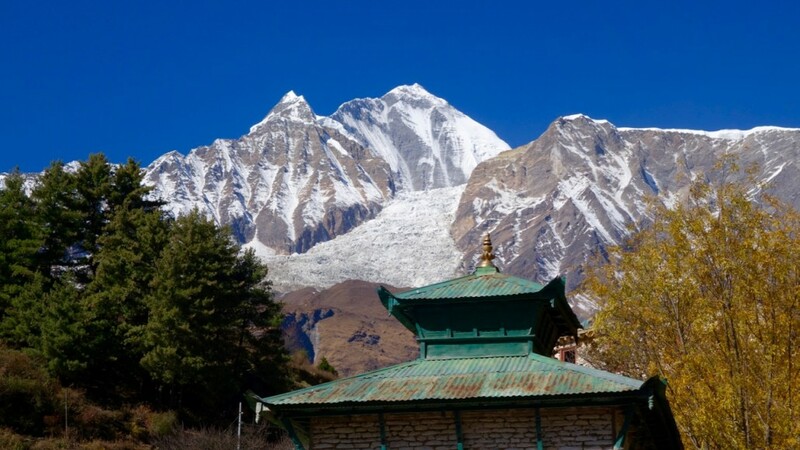 Himalayan views, mountain roads, highway cruising, rich culture, and delightful hand-picked lodges and hotels. For those with only a few days to ride! 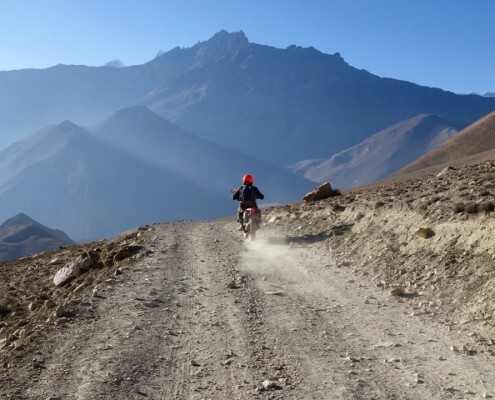 Ride some of the most enjoyable roads in Nepal while paralleling the mighty Himalaya. Have a ride in mind you don't see here? 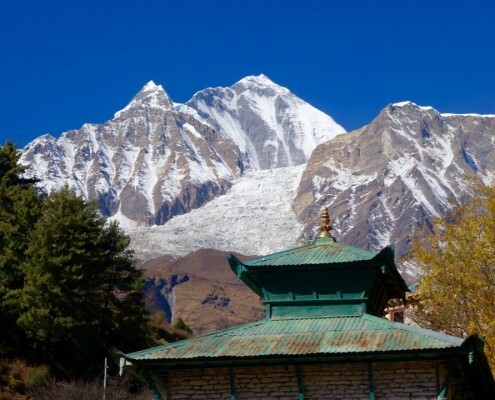 Allow me to craft a custom itinerary suited perfectly to you! 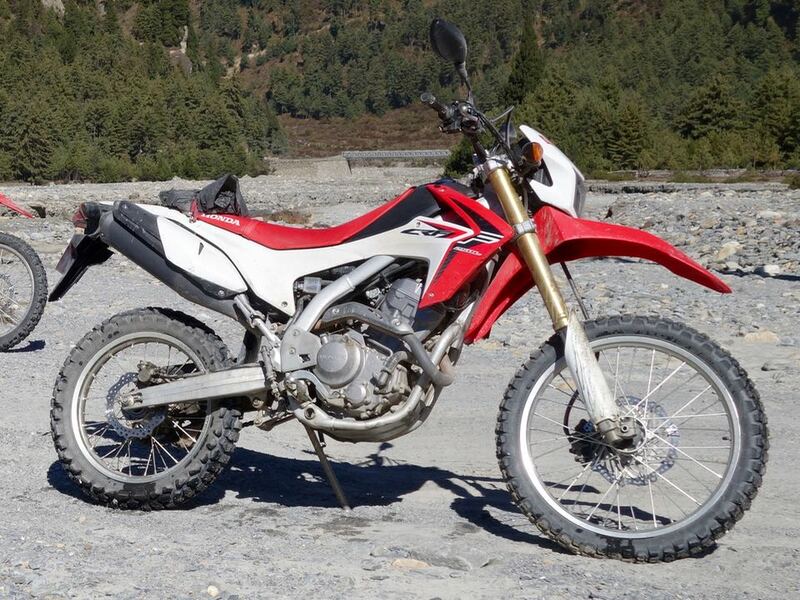 Honda CRF 250 provides the ultimate dual sport experience. 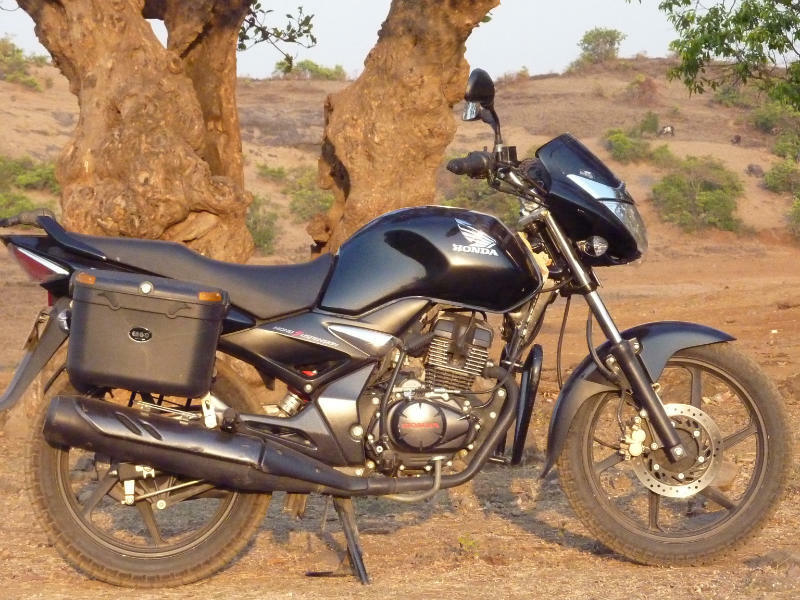 Knobby tires and off-road suspension eat up rough Himalayan roads while the 250cc engines provide necessary power in a light-weight package. 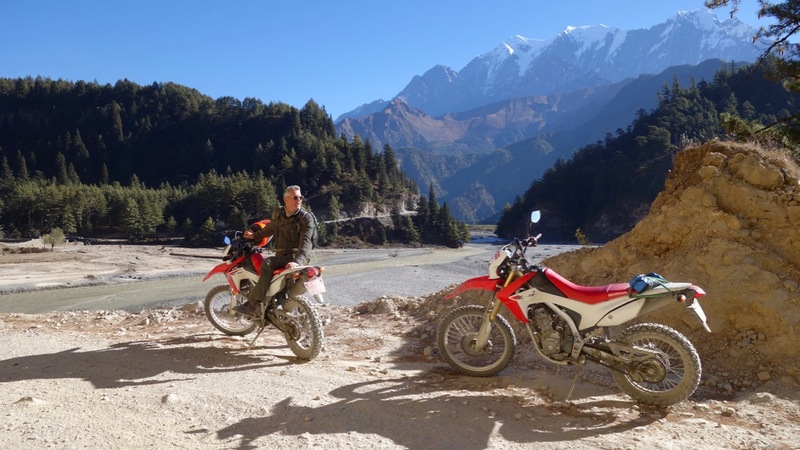 The ideal choice for endure-style Nepal motorcycle tours. 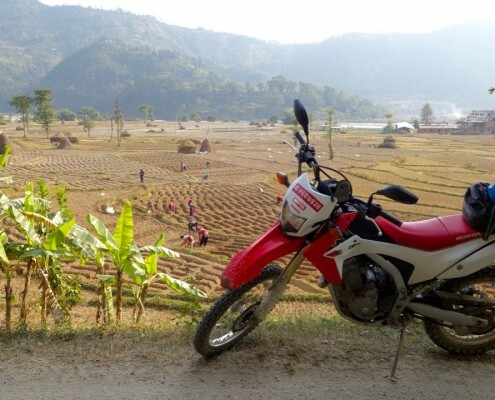 KTM, Honda, and Bajaj 150-220cc configurations provide the most economical option. Light weight and fun, these smaller bikes are a blast to ride! 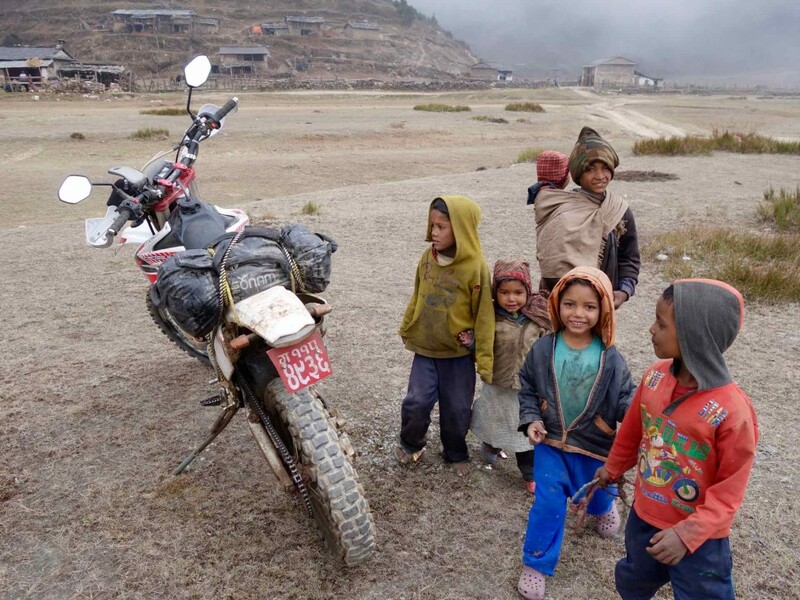 A great way to get around like the rest of Asia does. 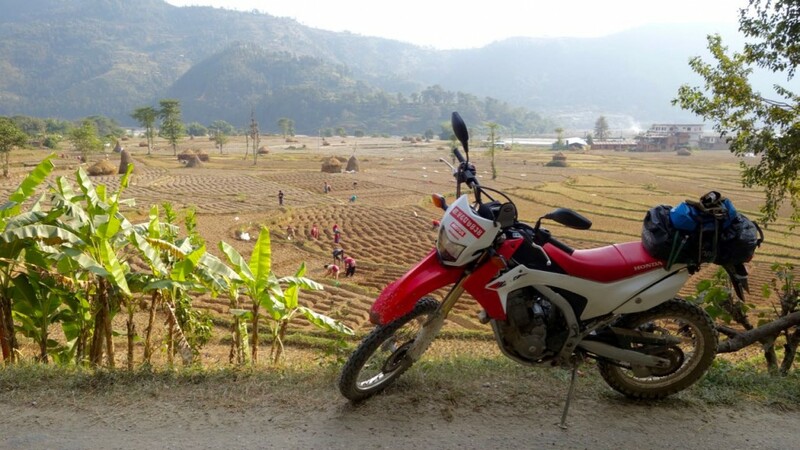 Thank you for the amazing motorcycle ride to Nuwakot. From the minute we met I could see that you were a caring, and knowledgable guide. Our group had a great time at some awesome spots. See you next time!! 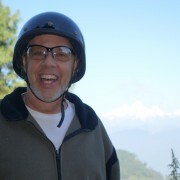 My motorcycle trip with Eli at Over The Edge Travel was amazing. It was one of the most memorable trips of my life. 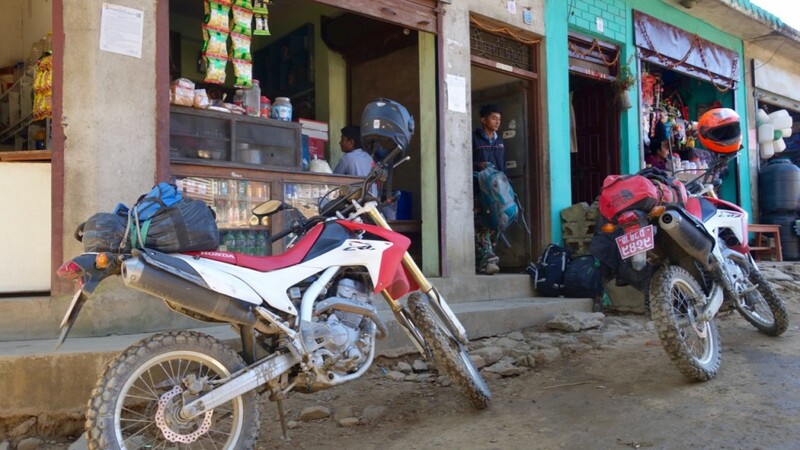 Eli’s extensive planning, and knowledge of the country and culture made the trip exciting and informative. For a “bucket list” type of experience, I would highly recommend Over The Edge Travel. 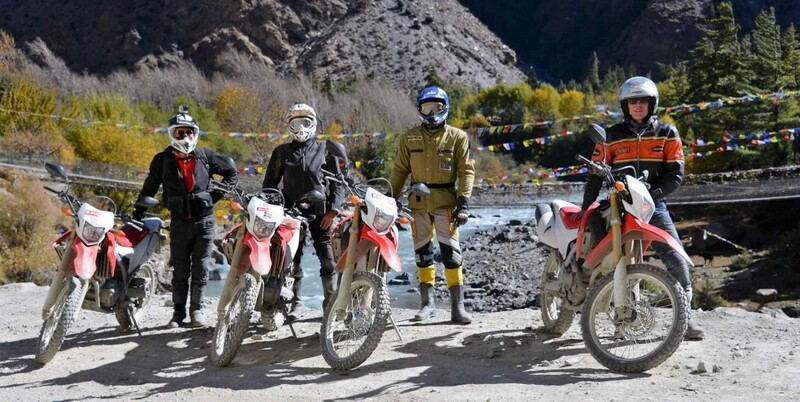 The ride was spectacular and left us breathless at times, the views through the Himalayas are unforgettable. 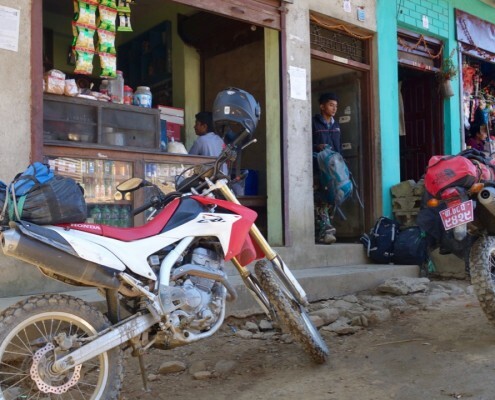 A friendly guide, honest… I highly recommend Eli as a travel guide in Nepal. 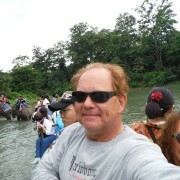 He will customize any trip, and make seeing this country, a life time memory. Over The Edge Travel prides itself in offering the highest quality motorcycle tours in Nepal. 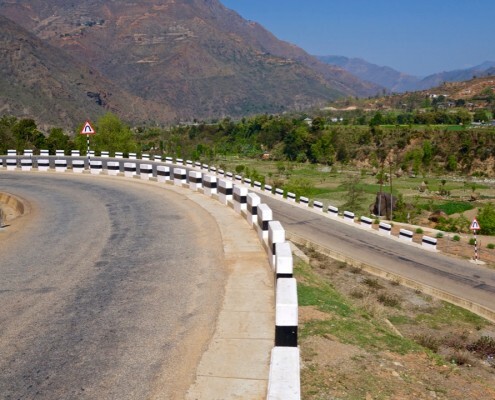 Our commitment to exceptional rides, excellent customer service, safety, and good times sets us apart. 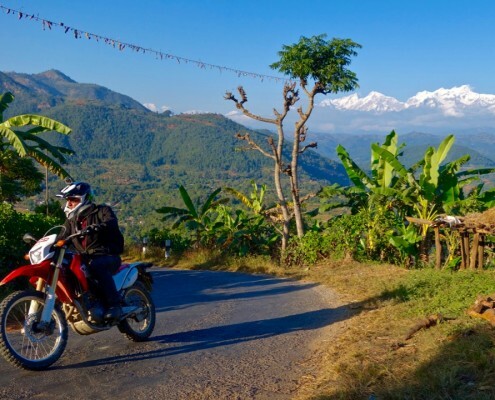 Each of our Nepal motorcycle tours is tailor-made to suit your group’s riding style, timeframe, and accommodation and sightseeing interests. We specialize in private tours for individuals or groups. 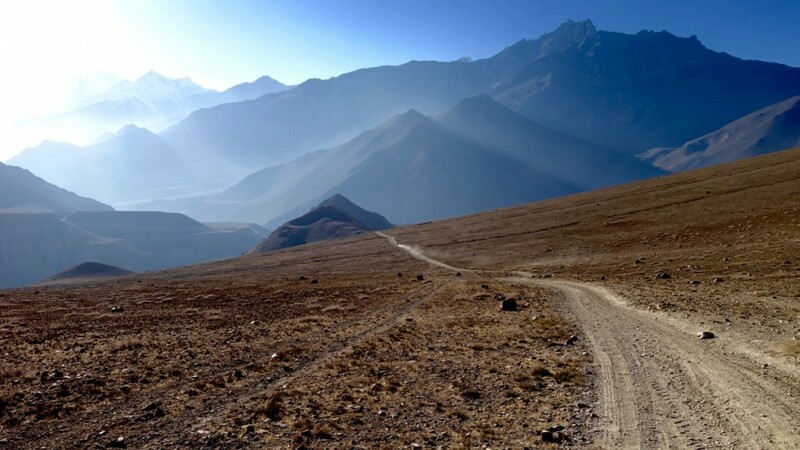 From “on-road” adventures to off-road and enduro riding, we love sharing this ruggedly beautiful part of the world with fellow riding enthusiasts. We have lots of great “set” itineraries, but also have an endless supply of ideas to craft a custom itinerary for you and your crew. LET’S CONNECT TO DISCUSS THE POSSIBILITIES! Hassle-free planning – we take care of it all! Wildlife viewing in the jungles – Rhinos!